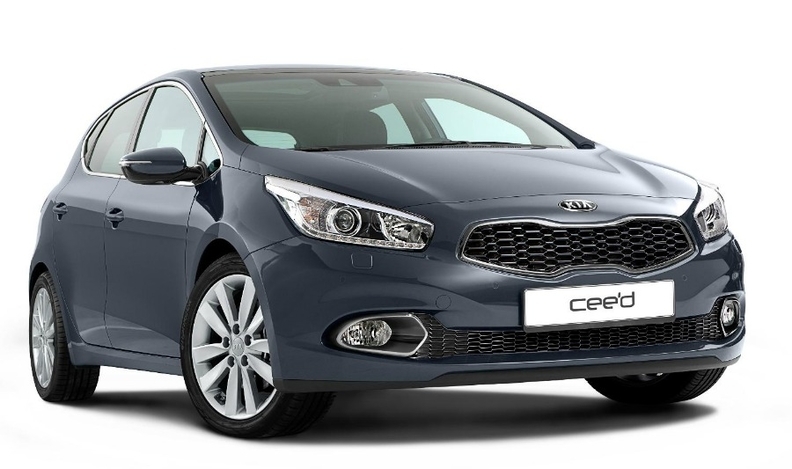 Kia says the new Cee'd combines a sporty look with functionality. Kia will unveil a new version of its Cee’d compact hatchback at the Geneva auto show in March. The automaker said the Cee'd's sporty, muscular exterior styling and refined interior with a driver oriented dashboard will take the car upscale. The second-generation Cee'd combines the "styling typically found on a sporty coupe with the space and functionality of a five-door hatch," Kia said in a statement. The five-door Cee'd hatchback will go on sale in Europe in June as a rival to cars such as the Volkswagen Golf, Opel/Vauxhall Astra and Ford Focus. A Cee'd station wagon will arrive in showrooms in September, followed by three-door hatchback early 2013. Kia has not released prices or technical details of the new Cee'd but a picture of the car released by the company shows that the latest model has the family look created by design director Peter Schreyer and first seen on the Kee concept car in 2007. As before, the new Cee’d family will be built at the firm’s Zilina, Slovakia, factory alongside the Sportage SUV and Venga compact minivan.